At the 2017 Nobel Peace Prize Concert, held at the Telenor Arena in Oslo, Norway, on December 11, 2017, Le Petit Cirque performed for an audience including the Norwegian royal family and the Nobel Peace Prize Laureate. Le Petit Cirque was the first young talent act to be invited to perform at a Nobel Peace Prize Concert. 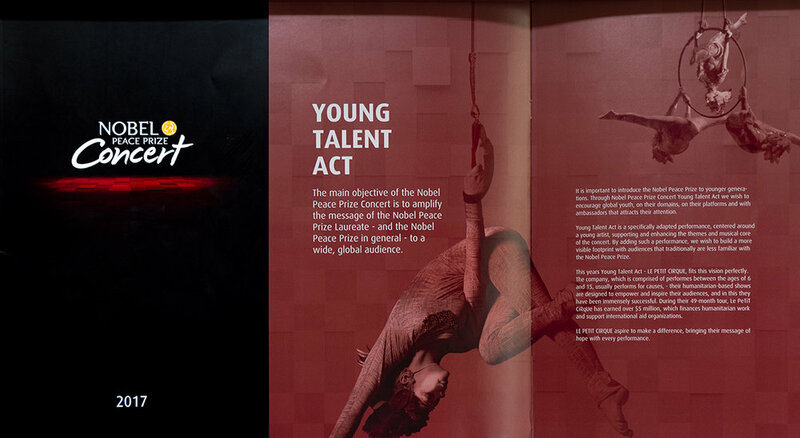 In its program for the event, the Nobel Institute illustrated this group of young performers with a variation of my Cirque no 6.